Join Jeanette Jenkins July 19th 9am-6pm in Las Vegas at the IDEA World Fitness Convention 2017 for the STRONG by Zumba™ Instructor Training! Use code SBZJJ25 to get $25 off. Click here to register! 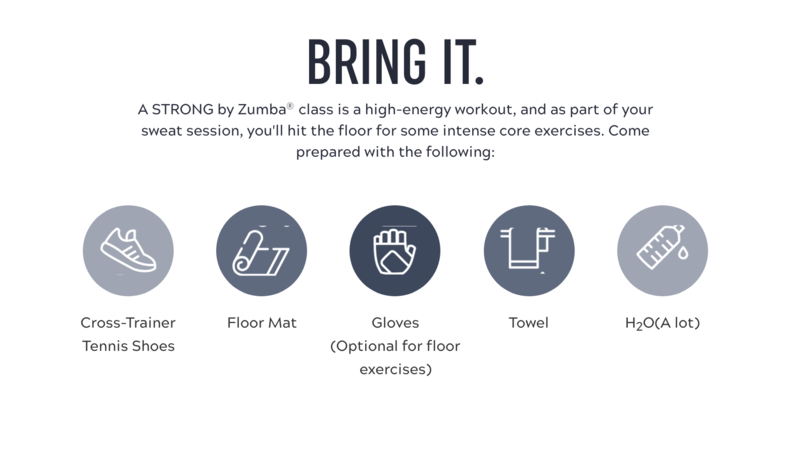 STRONG by Zumba™ is a revolutionary high-intensity workout where every move is synced to a beat, pushing you harder to give it everything you’ve got, and then some. Plyometric or explosive moves like high knees, burpees and jumping jacks are interchanged with isometric moves like lunges, squats and kickboxing. The music is reverse-engineered so that every squat, every lunge and every burpee is perfectly synced to the beat. We partnered with some of the best music producers in the world, including Timbaland, to create a unique music + workout experience. If you teach cycling, boot camp or other HIIT programs, you’ll make a great STRONG by Zumba instructor. Plus, we’ve got you covered with an unparalleled level of support, exclusive music and moves, and proprietary learning tools to ensure your success. We’ll be with you through every beat and every burpee. NO, IT’S NOT A DANCE CLASS. It’s a revolutionary high-intensity workout led by music to help you make it to that last rep, and maybe even five more. Advance your teaching skills and get unparalleled support and resources to get your students pushing further and coming back for more. EVERY BEAT HAS A MOVE. And every move has a beat. 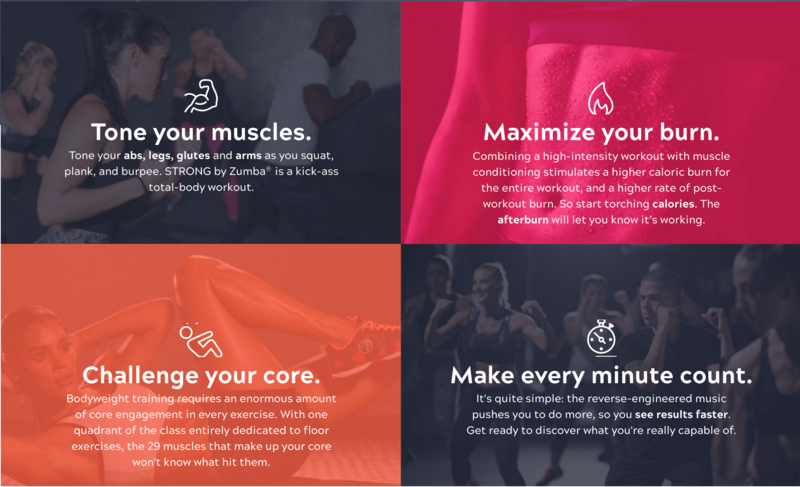 The music in STRONG by Zumba® was reverse-engineered so that every squat, every lunge, every move is perfectly synced to the music, making your workout more efficient than ever.